The Pilot 2 is a compact, durable, and light weight .22LR muzzle silencer for pistols & rifles. 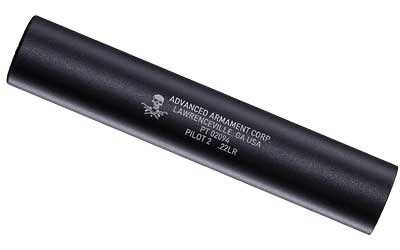 Since 2003, the original Pilot has been one of the best selling silencers available based on outstanding sound reduction, AAC quality, and attention to detail. Updated for 2011, the Pilot 2 allows easy takedown for cleaning and maintenance that can extend the can’s service life when shooting dirty .22LR ammunition.